Puerto Rican Governor Alejandro Garcia Padilla announced that Puerto Rico will now provide driver’s licenses to undocumented. Under the new rules, the undocumented must show that they are not U.S. citizens nor legal permanent residents, have resided in Puerto Rico for over a year, have no Social Security number, and are not authorized by U.S. Immigration and Customs Enforcement to live in the United States. Such undocumented would still have to pass a driver’s test. What these driver’s will allow for the undocumented are being able to open up a bank account, drive on the road, be safe going to a hospital, and register their children to go to school. Since the design and size of these driver’s licenses will be different from the standard driver’s licenses issued for all U.S. citizens and legal permanent residents, the undocumented cannot use them to board planes to go to the U.S. mainland, and cannot receive federal benefits using these licenses as identification. These licenses are good for three years. In my view such a thing is necessary—if the undocumented are allowed to drive on the road then they will be better identified and will be able to work. It means that they will be required by law to carry auto insurance and can be accountable for their actions on the road. This does not legitimize their immigration status, and by law the police cannot jail them on their immigration status. This is a realistic and important change. Not giving such licenses to the undocumented will not stop them from driving, and not stop them from working or any other activity. It is simply a measure of protection for them as well as the general public. This has been tried with success in various U.S. states, and at the same time does not violate U.S. immigration laws. 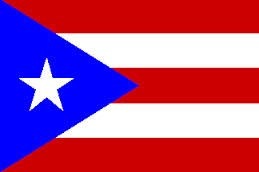 It is believed that most of the undocumented in Puerto Rico are from the Dominican Republic. Regardless of where the undocumented come from, the measure taken by Padilla was simply for road safety, not a stand on immigration.